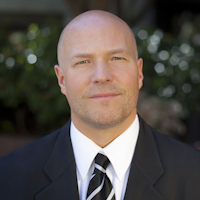 Foster Weeks has been a residential mortgage loan agent for over a decade. In his experience as a mortgage originator, Foster has helped hundreds of people navigate the ins and outs of home ownership, helping them achieve their goals and saving money in the process. In addition, Foster has hands-on knowledge having served as board member for both his neighborhood and condominium associations. A San Francisco native, Foster attended Marina Middle School, Sacred Heart High School, and City College, finally earning a business degree from San Francisco State University. While in High School and College, Foster was a nationally ranked Olympic Weightlifter.